The idea came from the desire to preserve childhood memories in a beautiful way. The result is these adorable suspension lamps that let you brighten up your nursery in modern style. 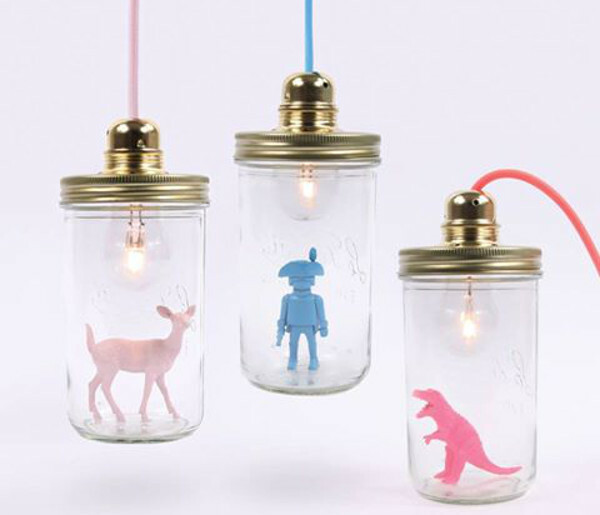 Each of these lovely jar lamps by French brand La Tête dans le Bocal contains an iconic childhood play figure. From a fluoro pink dinosaur to a pastel blue Playmobil figurine, there is something to match any taste. 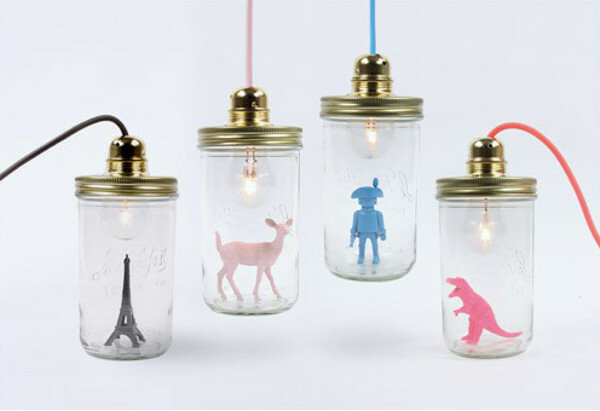 These lamps are made from jars modified with a socket for screw-in bulbs. The three metre fabric cord comes coloured to match the figurine inside to complete a contemporary look. Very sleek. Of course you will need to have your electrician adapt it for Australian power points. 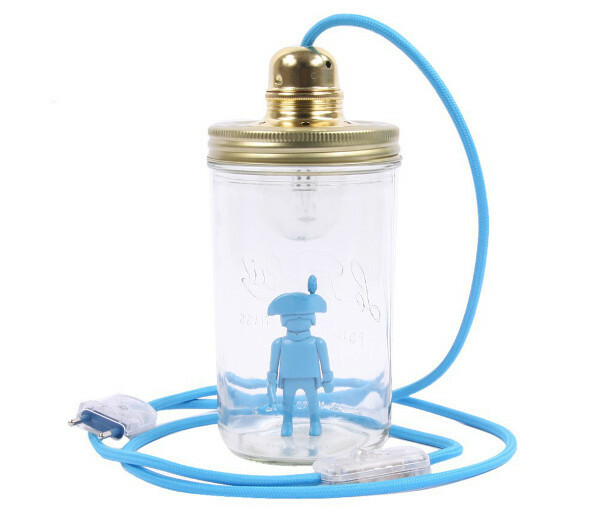 The cord also contains a foot pedal switch so you can easily turn the lamp on or off with baby in your arms. La Tête dans le Bocal have really thought of everything. For a seriously striking look try hanging a few of these fabulous lamps in a bunch or lining them up along one wall. I’ve also seen them hung with the cord wrapped around several hooks to create a pattern. There are lots of creative decorating options. La Tête dans le Bocal lamps are priced upwards of €70 and sold exclusively through Smallable. Shipping to Australia will take a week and cost an extra €24,24 but these bright beauties are worth the wait.